This 3rd generation X500 ultra rugged notebook remains our flagship model. By combining powerful Intel 7th generation Quad-Core processors with a brilliant 15.6 inch full HD display and endless expansion, the X500 is the most powerful ultra-rugged notebook we’ve ever made. Available on every X500 is the advanced QuadraClear® display. 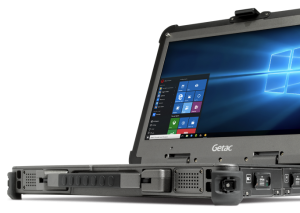 Getac’s QuadraClear solution combines proprietary technologies for both screen brightness and anti-reflectivity to reduce the sunlight’s reflectivity and provides a more effective contrast rate than other displays, while still maintaining the battery life you need in the field. 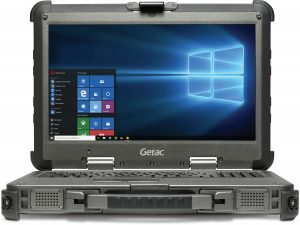 With a state-of-the-art 3.0 GHz Intel Core i7 quad-core processor, the X500 is the most powerful rugged computer ever made. The quad-core processor is ideally suited to handle the multi-tasking necessary in today’s complex work environments. 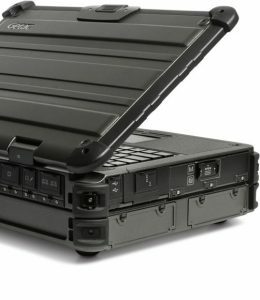 Express 3.0, the X500 with expansion chassis combines the expandability of a desktop computer with the portability of a rugged notebook. For a full rugged server with up to 5TB of storage and dedicated RAID card supporting RAID 0, 1 & 5 – visit the X500 Server page. With two USB 3.0 ports, two serial ports, dual Ethernet ports, and a VGA port among others, the X500 has plenty of ports to connect the peripherals that you use. 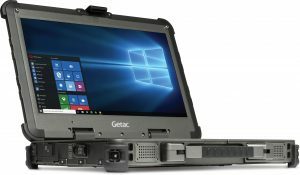 Only Getac manufacturers rugged computers down to the chassis. 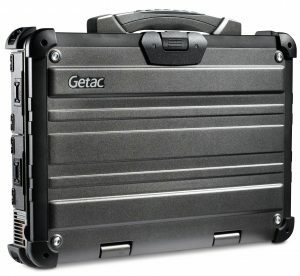 Built from high quality magnesium alloy, the X500 features four main casings specifically engineered to protect the computeragainst drops, shocks, spills, vibration and more. The sealed design of the X500 protects it against dust and moisture. The X500 has been independently tested and certified to MIL-STD 810G, IP65, MIL-STD-461G and ANSI/ISA 12.12.01 standards. Sealed doors and ports provide an ingress protection against dust, moisture, and water, allowing the X500 to be certified to an IP65 rating.